An odd duck in the perfect watering hole. THE SCENE: In the last decade, Malian kora master Toumani Diabaté realized that the average music purchaser wasn’t particularly aware of either Mali or the kora, so to raise his profile he subsequently recorded several cross-genre albums with many global artists. Since the kora (the West African 21-string lute) sounds like a blend between a harp and a guitar, many of his collaborations have been with harpists or guitarists. But in 2003 he surprisingly became the first musician to incorporate a horn into kora music, which became the watershed release MALIcool. His musical partner this time is Roswell Rudd, an American jazz trombonist with both Dixieland and avant-garde leanings, which means he’s been mostly unheard and under-appreciated. It also means that his rubbery mallard-like phrasing is elastic enough to fit many forms, and it adds a unique vocal timbre to the percussive Malian melodies. In “Rosmani” Diabaté unleashes quick sprinklings of beautiful notes like water dropping from a leaf then exploding into hundreds of tiny micro-splashes, to which Rudd’s trombone plays the drunken drowsy traveler, splattering in the puddles. “Malicool” has Diabeté’s plucking and Rudd’s growly kazoo sharing time with an icy balafon solo, its frenetic xylophone tones helping the band resemble an African Oingo Boingo. Some old standards are transformed into modern classics: their take on Thelonoius Monk’s “Jackie-Ing” is a sweetly atonal blues, their gentle call-and-responses resembling the conversation of jungle beasts. And they kick it really old school in “Malijam” where the seesaw of pinpointed beats set the stage for a Malian take on “Ode To Joy”. Yes, Beethoven’s “Ode To Joy”. And it works. 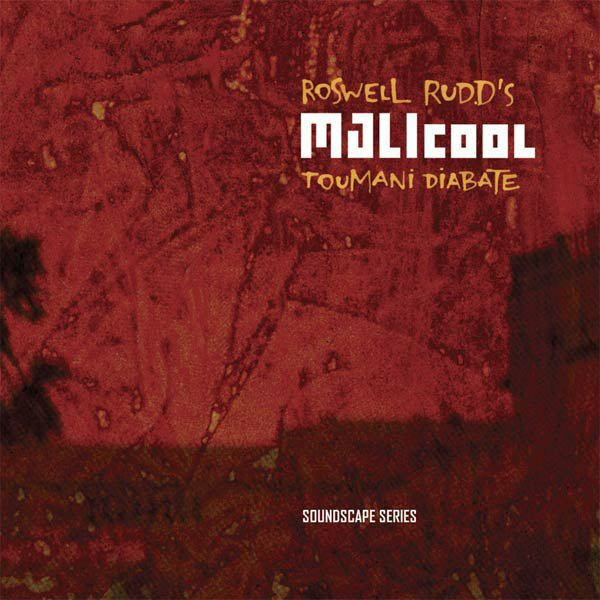 THE FALLOUT: MALIcool‘s progessive oddness also worked for Roswell Rudd, which resuctitated his career as a world-class auteur. But it didn’t sell particularly well, partially eclipsed by higher profile Diabaté albums, and became another critical darling that stalled. You can also view a documentary of the album’s creation below. Yes, Uppity Music is all multimedia’d up. Defying the blanding that frequently occurs with cross-cultural music-making, MALIcool in a brand new sound that sounds instantly familiar and familial. NEXT WEEK: A lil’ holiday music.